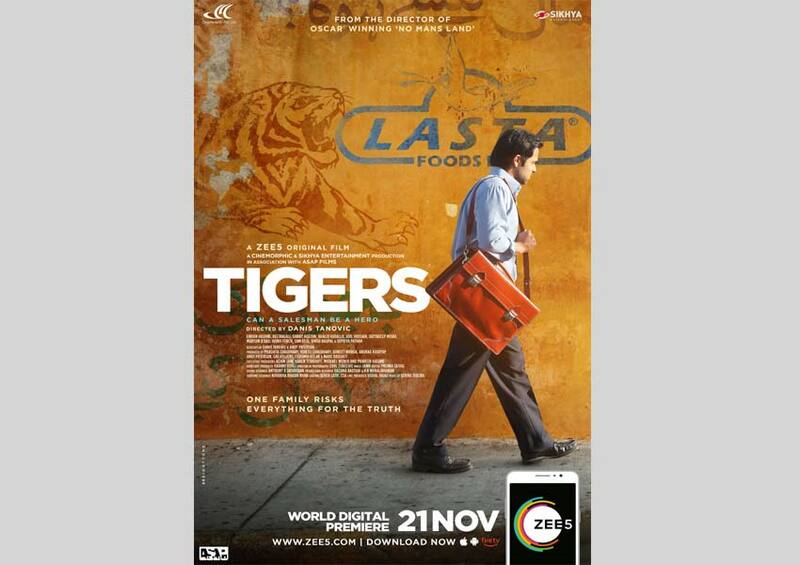 ZEE5 has announced its first Hindi Original film ‘TIGERS’ – Can a salesman be a hero? starring Emraan Hashmi, by Oscar winning director DanisTanovic. TIGERS is a true story based on a Pakistani salesman Syed Aamir Raza (played by Emraan Hashmi) and his fight against unjust practices in the baby products’ industry. The movie will premiere exclusively on ZEE5 on 21stNovember. The movie shows Emraan Hashmi exposing his company for making a baby formula which is killing infants with the help of IBFAN (The International Baby Food Action Network). The film also features prominent artists like Adil Hussain, Geetanjali, Danny Huston (Wonder Woman), Khalid Abdalla (The Kite Runner),Supriya Pathak, Satyadeep Misra, Maryam d’Abo (The Living Daylights) and HeinoFerch (Run Lola Run) among others.